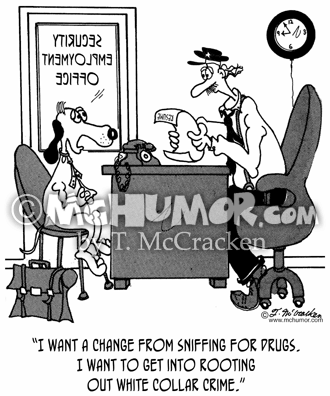 White Collar Crime Cartoon 7226: A dog in a suit and tie in a security office employment saying, "I want a change from sniffing for drugs. 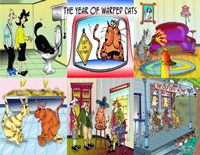 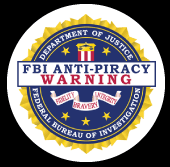 I want to get into rooting out white collar crime." 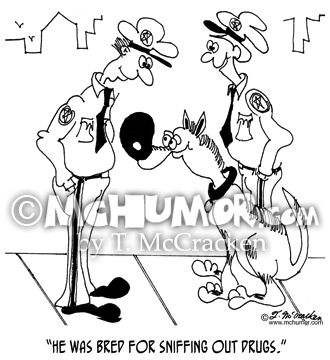 Dog Cartoon 7220: A police officer' with a dog with a humongous nose says, "He was bred for sniffing out drugs." 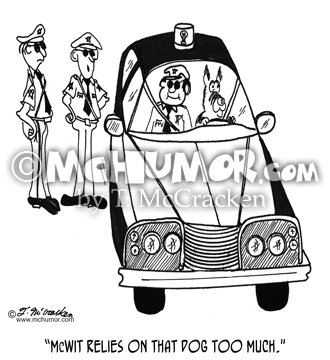 Police Cartoon 4821: Of a police dog driving car as officer sits in the passenger seat another officer says: "McWit relies on that dog too much." 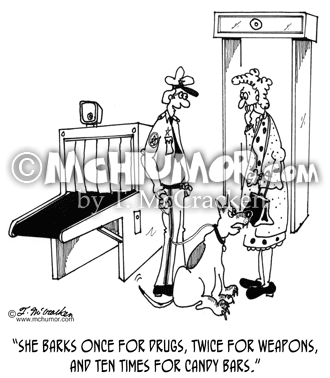 Security Cartoon 5589: A policeman with dog says, "She barks once for drugs, twice for weapons, and ten times for candy bars." 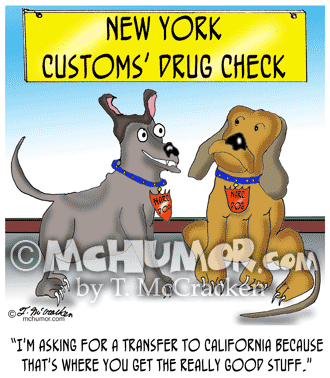 Drug Cartoon 0363: A New York drug-sniffing dog says to another, "I'm asking for a transfer to California because that's where you get the really good stuff." 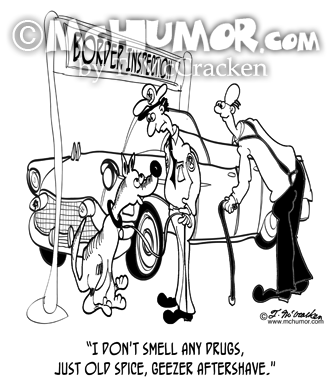 Dog Cartoon 9010: At a border crossing dog sniffing an old man's car says to his police officer handler, "I don't smell any drugs, just Old Spice, geezer aftershave." 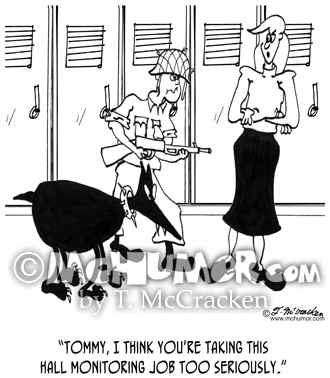 School Cartoon 6577: A teacher says to a boy with a rifle and a Doberman pincher, "Tommy, I think you're taking this hall monitoring job too seriously."